The alternative decision that many home owners have is: if one does not want to enjoy the intangible benefits of living in their dream home, renting is an option. Notice that the same income-producing property (at $2,000/mo or $24,000/yr) can have three separate “fair value” prices, depending on return preferences. A 10% ROIC translates into paying no more than $343,000 for the estate, if 5% then $1.2 million is justifiable. We won’t get into specifics of what the implied risks are, which have to be priced into the required return. If the wide range confuses you, that’s a good thing - that reflects the limitation of applying models to reality. The point of this whole exercise is to help you as a Buyer or Seller to appraise the value of a home given your alternative option—renting to generate income. If this peeks your interest, please, let me know. We can apply some examples! 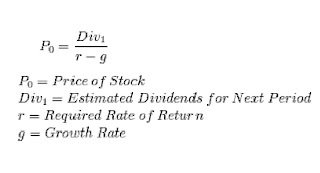 A Home as an "Investment"
Benjamin Graham qualifies the difference between an investor and a speculator: An investment operation is one which, upon thorough analysis promises safety of principal and an adequate return. Operations not meeting these requirements are speculative.” The difference between these two concepts only makes sense in retrospect. 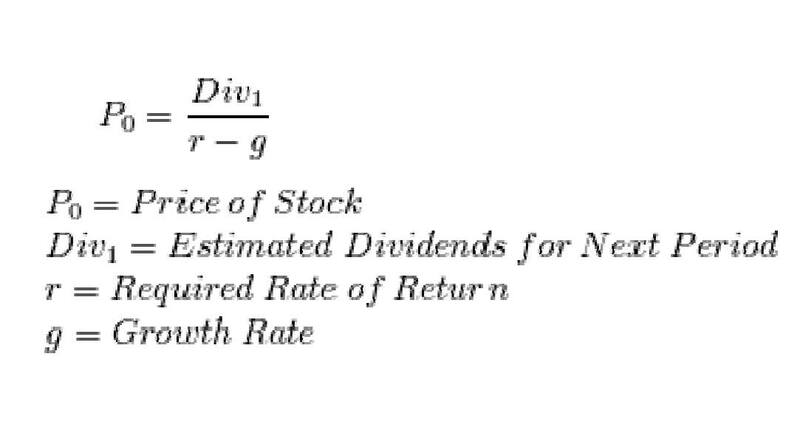 An investment depends nearly entirely on the acquired price. By not paying too much for a given asset one obtains a sense of security that the original principal balance will not be eroded, known as a “margin of safety.” Investors believe that over the long-run security prices reflect fundamental developments involving the underlying business/asset. Speculation, on the other hand, is a belief that future demand will be higher (or supply lower) than today’s, commanding a higher price in the future. Speculation is a belief that one can predict the behavior of others. Speculation offers the prospect of instant gratification. There are reasons to believe that a home is an investment, despite the recent legacy of too many people being burned as a result of speculation. Though both an investor and a speculator can believe that their acquired price is lower than the sale target, it is the investor (not the speculator) that can prove why their value-point makes sense. The speculator will, instead, merely claim that tomorrow’s environment will be better than today’s. Paradoxically, a buyer and seller can simultaneously believe that they are entering/exiting an “investment” at the optimal moment. Further criticism is that tangible assets cannot have an implied fundamental value, because assets only have value for their productive use. “Gold bugs” argue that the price of gold is an inverse indicator of an eroding dollar (fear sentiment), while opponents will argue that one cannot infer, cannot assert that this is reason at all! This logic would follow that rental-yield potential (cap rate) of property is the only rational way of valuing a property, and can qualify as an ‘investment.’ This is how Warren Buffett articulated his investment thesis of homes. Similarly, homes are often called a barometer, a type of proxy for a local economy. The only trouble with that statement: are homes a leading or a lagging indicator? Tenancy in Common simply refers to a form of group ownership. In a condominium, the portions of the property within the dwelling unit walls are owned by individuals; whereas in a TIC the entire property is owned by the TIC group in percentage shares, and a detailed written agreement describes each TIC member’s rights and duties. Over the past two decades, TICs have become the primary source of entry-level housing in San Francisco. There are two main ways to finance a TIC interest: either through a group / property loan encumbered by all members of the TIC - OR individually / fractionally financed loans. Fractional loans are only offered by a couple lenders in today’s market, and come in ARM products only. As such, the interest rates are slightly higher, thereby incurring potentially greater risk. You can get more information from Henry Jeanes of Sterling Bank & Trust, who is a mortgage consultant. His number is 415.970.9889. He can offer you the latest interest rates and how fractional financing works. TICs generally sell at a 10% – 20% discount to condominiums given the more expensive financing involved – among other variables. Much depends on the sub-district location as well. The ability to Condo Convert a TIC into a condominium is a huge ‘play’ for investors and homeowners. This is another topic for another day given the nuisances present. For starters, check out www.andysirkin.com. Andy Sirkin is essentially the ‘godfather’ of TIC interests – his group drafts-up nearly every TIC Agreement for property owners. There is much more to share in light of TICs and if they are right for you. As always, feel free to contact me to get a more intimate understanding of this sound investment opportunity. Realtytrac.com is a handy website, take a look when you get a minute. Reviewing the foreclosure trends: you will notice that 1 in every 624 homes, nationally, are in some category of foreclosure. Looking exclusively at California, that figure becomes 1 in every 265 homes (0.4%); and San Francisco, thankfully, is only 1 in every 1,115. We can broadly conclude that there are demographic and industry trends specific to regions, the driving mechanism of housing prices and foreclosure rates. 3. Putting pressure on Freddie / Fannie to keep as many homes as possible under the protection umbrella, etc. · What will happen if credit standards and minimum down payment requirements for housing become more conservative from here? · What will happen as industry landscapes change? · What will happen when people vote in the most powerful way they can: with their feet? There are many “risks” that can and probably will put pressure on housing prices from here. Hard to draw conclusions when dealing with wide-ranging, uncategorized figures. How we denominate urban stats needs to be understood from the sub-urban. Still. The questions are relevant.